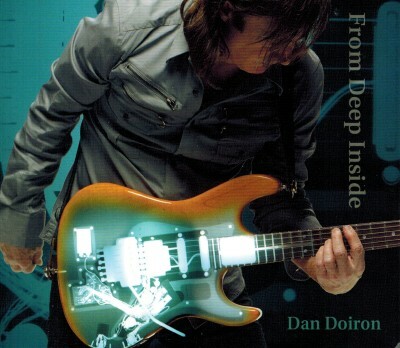 Dan Doiron is a Blues Artist from Nova Scotia and has recently released in March 2013 his second album entitled, From Deep Inside, a follow -up release from April 2011 entitled, Even My Guitar is In Love With You. This album was his debut album and was nominated for both a Nova Scotia Music Award and an East Coast Music Award for 2012 Blues Album of the Year. The new album has evolved as the bands' sound has developed while touring this past year. Their style combines rock, blues and funk influences with a heavy dose of electric guitar riffs, high energy grooves and fun. AtlanticSeabreeze gives this album 5 stars out of 5 stars on its rating list. To find more information about Dan Doiron and his music, refer to his website, address posted above.